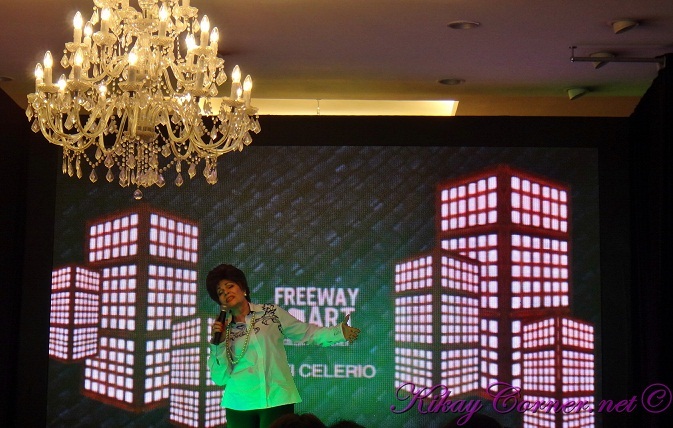 Freeway launched its most recent NACS featuring National Artist for Music, Levi Celerio. 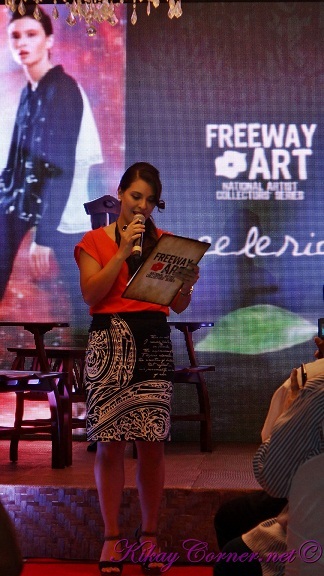 Freeway’s continual collaboration with our country’s National Artist since 2009 has paved the way for Fashion and Art to come together as it serves as an avenue for the younger generation to be reintroduced to a taste of the Philippine’s Arts and Culture. What first drew me to Freeway’s NACS Featuring Levi Celerio is its hypnotic cosmic theme. 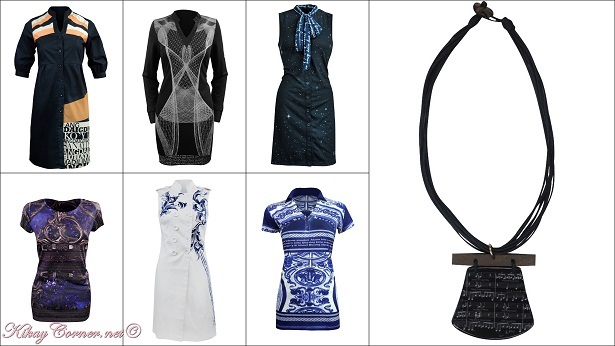 Its elegance and its flexibility can come in handy for today’s woman. Hip, classy, sophisticated and even corporate. The launch was hosted by Giselle Tongi herself. Who, I believe, was one of the pioneer endorsers of the Freeway before she left to settle for the states a few years back. She looked as gorgeous as ever, if I might add. 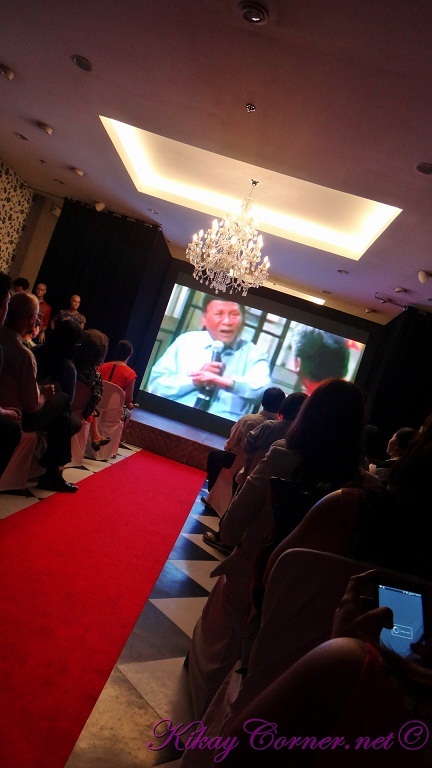 The launch began with introduction of who Levi Celerio is. Even at my age, I was surprised to learn that our country’s “Christmas caroling anthem,” “Ang Pasko ay Sumapit,” was composed by him. Even the classic lullabye, “Sa Ugoy ng Duyan,” composed by his genius. That is the one lullabye that can bring me to tears in a heartbeat. Before I get ahead of myself. Here’s an excerpt about our most heralded National Artist for Music, Levi Celerio. Levi Celerio (April 30, 1910 – April 2, 2002) is a Filipino composer and lyricist. As a kid who grew up with an immense passion for music, it was not much of a surprise that he received a scholarship to the Academy of Music in Manila and became the youngest member of the Manila Symphony Orchestra. He wrote several number of songs for local movies, which earned for him the Lifetime Achievement Award of the Film Academy of the Philippines. Celerio has written lyrics for more than 4,000 Filipino folk, Christmas, and love songs, including many that became movie titles. Known for being a good lyricist, his songs cherish life, convey nationalistic sentiments and utter grand philosophies. Celerio wrote more than 4,000 songs, among them are popular pieces, which many consider to be immortal. Some of his popular love songs include: Saan Ka Man Naroroon?, Kahit Konting Pagtingin, Gaano Ko Ikaw Kamahal, Kapag Puso’y Sinugatan, and Ikaw, O Maliwanag na Buwan, Dahil Sa Isang Bulaklak,Sa Ugoy ng Duyan, Bagong Pagsilang, and Sapagkat Kami’y Tao Lamang, while his folk songs include Ang Pipit, Tinikling, Tunay na Tunay, Itik-Itik, Waray-Waray, Pitong Gatang, Ako ay May Singsing, Alibangbang, Alembong, Galawgaw, Caprichosa, Ang Tapis ni Inday, Dungawin Mo Hirang, Umaga na Neneng, Ikaw Kasi, and Basta’t Mahal Kita. Celerio also wrote nationalistic songs such as Ang Bagong Lipunan, Lupang Pangarap, and Tinig ng Bayan. Levi Celerio died at the Delgado Clinic in Quezon City on April 2, 2002 at the age of 91. Allow me to play favorites, as I attest this to being the best Freeway NACS launch I have attended to date. The musical stylings and stage presence of Asia’s Queen of Songs, Pilita Corrales must have a lot to do with it. I was too thrilled as I was watching Pilita that I was heavily tweeting and switching to recording the video and back again! I was so giddy until days after and you can guess what my LSS for days after. 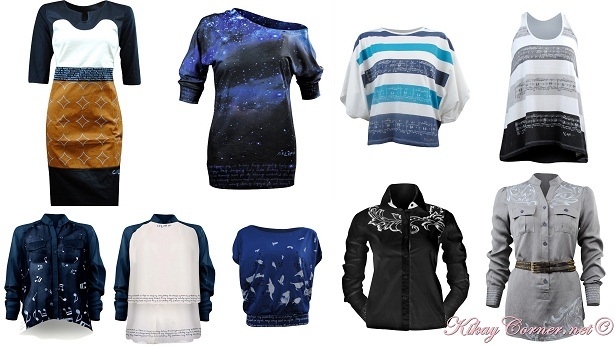 Meanwhile, here are more from the Freeway x Celerio National Artist Collectors’ Series Fall 2012. To know more about this Freeway collection, visit www.freeway.net.ph and be updated via their Facebook Page facebook.com/FreewayOnline and Twitter http://twitter.com/FreewayOnline. hаving difficulty finding one? Thanks a lot!